Do you like clicking selfies? 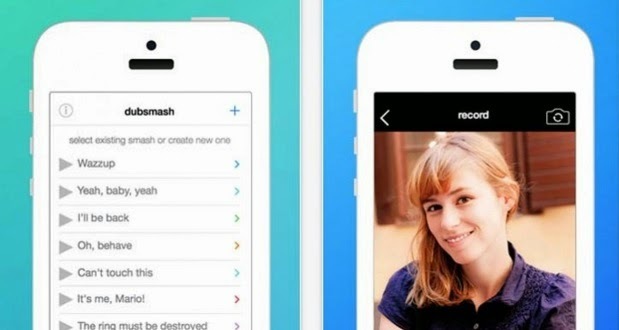 If yes then this post is for you, now you can feel like a Movie Star just by using ‘Dubsmash’ an video selfie app that lets you create selfies videos by combining many famous audio quotes with your videos. Using the app you can pick an audio quote from the list which could be from a movie or even a song and then just make selfie video of yourself and click start to combine the audio with your selfie video. The available quotes on the list has been taken from a verity of sources like movies, dramas, TV shows and songs. You can find and chose different quotes from various different name folders that suites better for your videos and that helps you quickly select the quotes you are looking for. After recording and selecting the quotes users can easily save their selfie to ‘Dubsmash’ Photo gallery and can also be shared on different social media sites like Facebook, Instagram or WhatsApp. According to the report, it is also said that the next update will include ‘Soundboards’ to better organize the sound and allow users to create their own ‘Soundboards’ and would also be able to subscribe to other users board.